Eating is a big part of Italian life. It’s a social and gastronomical thing. 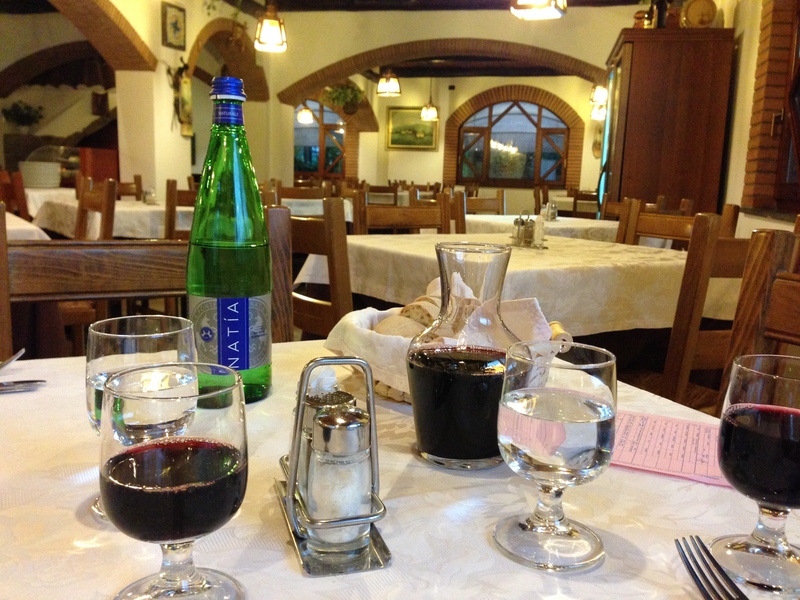 One of our first quests was to find good restaurants in our area. We started at the sea town of Marina di Casal Velino. It was off-season so some of type restaurants were closed. 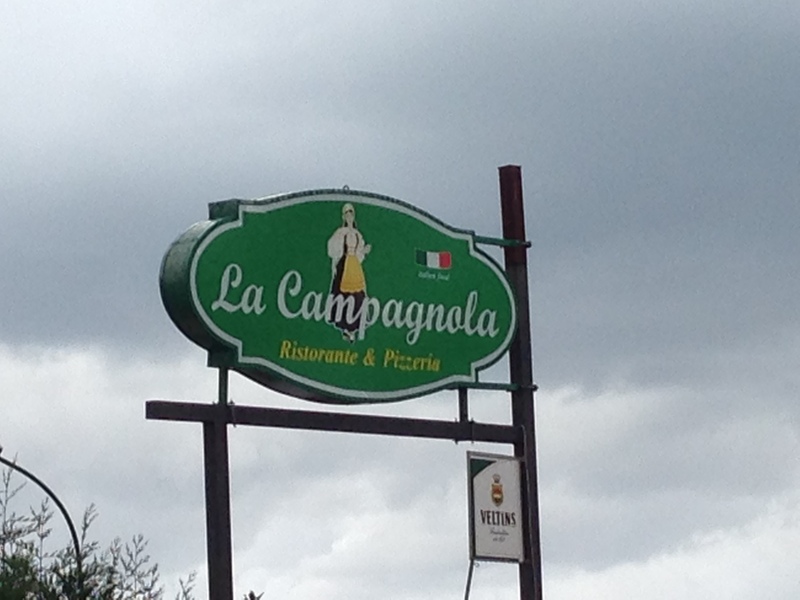 We were told by friends in Italy about a restaurant near our town called Ristorante La Campagnola. So off we went to this place. It had a fire-place in the center for warmth and a very friendly staff. We ate way too much food. We wanted to try everything. The pizzas here were fantastic cooked in a wood oven. The crust was crispy and the taste delicious. Next we tried some fish. Caught fresh locally and cooked to perfection. As Americans you do have to get used to heads on all the fish including shrimp. Italians eat right off the bones. Getting a piece of fish on a plate would scare them. It might not be fresh! How can you tell? George once had friends in from northern Italy. We went to one of our supermarkets. They were amazed by the size and aghast at the frozen foods and canned foods. In Italy almost everything is fresh. They were totally blown away when we passed the fish counter. All the heads were missing. They asked me, “How can you tell if they are fresh?”. Evidently they look into the fish eyes and can tell freshness. The next quest was to visit some mountain towns in our area. We already spoke about one. Our quest was to a mountain town near Agropoli called Castellabate. There is a very small windy road going up. You are on the outside part of the way with no guard rails. This is where you pray no cars are coming down. The town is a pedestrian only town. You have to park in one of several parking lots and walk in. Before we could park, George was overtaken by a feeling of doom. He wanted to drive back down. As we did it started to rain, snow and hail. These would not be great roads to get caught on. Safely at the bottom, we vowed to return on our summer trip. Tomorrow will be the last post for 10 days. WE will be going to Velina, Italy to our home. When I get back we will continue and talk about our trip. Tomorrow we will talk about gelato and wine. A great experience.